One of the vital factors to realize regarding the value of a building is the importance of College Station roofing repair. An ideal dream house could have a wonderful appeal and very attractive roofing; however, if repairs are not maintained, a building’s good condition is being taken for granted. The value of a home can be best retained by having regular inspections and maintenance to ensure proper building function. Most roofing material is durable, although exposure to various weather elements can cause faster deterioration which contributes to the value of timely maintenance. Following some important roofing repair tips can prolong a roof’s service life and effectively reduce repair costs. A leaking roof is a common problem; pinpointing the exact source of leakage can be a challenging and tricky task. There may be stains or visible signs of leakage on an interior ceiling, although that may be a result of condensation in the attic. The exact source must be investigated and inspected because where the visible signs are seen is not usually the original point of entry. When tracking leakage, it is easy to assume that water follows a straight line of gravity so from the visible sign just backtrack until the original point of entry is detected. Another way to spot a problem is to go outside with binoculars and check the roof for missing, cracked, or torn shingles. An alternative is to wear rubber-soled boots and climb a ladder up to the lower edge of the roof to check the surface for possible deterioration. As a general rule, avoid walking on the roof to minimize and prevent creating more damage. Early leak detection allows for rapid and less expensive repairs. Almost every leak can by mended, plugged, or covered depending on the extent of the damage. Roof repair in College Station must be done when detected to stop water from entering the building and to protect further damage. Before beginning repairs, assess the cause of water entry carefully. 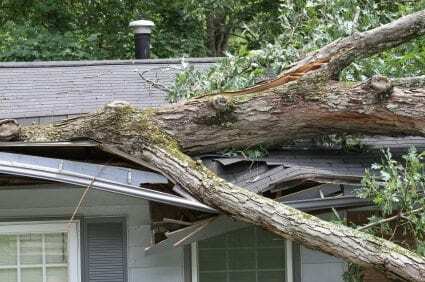 Remember that DIY methods should only be done temporarily in emergency situations and should not be considered the long term solutions of contacting a roofing contractor to handle the problem. Repairing a roof leak is a dangerous task, this is why there are safety precautions to consider beforehand. Always assess the area for hazards such as overhead power lines, overhanging trees, and wet surfaces. Don’t forget to use safety tools like non-slip boots, a safety helmet, safety rope, and ladder. Keep all equipment in a tool box and place it near the working area. Roofing systems are an essential part of a building that should be given proper attention to preserve its prime condition when facing damage and deterioration especially during severe weather. Repairs should be done to maintain the system’s functional capability; this can be done alone with inspection and repair of the damaged components and following the above essential repair tips. It is a good decision to seek the help of a roofing contractor to be certain all procedures are done correctly. All of this is important to know and follow! College Station Roofing Can Handle Your College Station Roofing Repair Needs! Do you know a reliable contractor to take care of your College Station roofing repair jobs? Call College Station Roofing at 979-217-2395 to get in contact with experts who will help your roof last longer!